“It takes millions of years to create a wonderful ecosystem but can take no time at all to destroy it.” – Fraser Buchanan, Facebook. 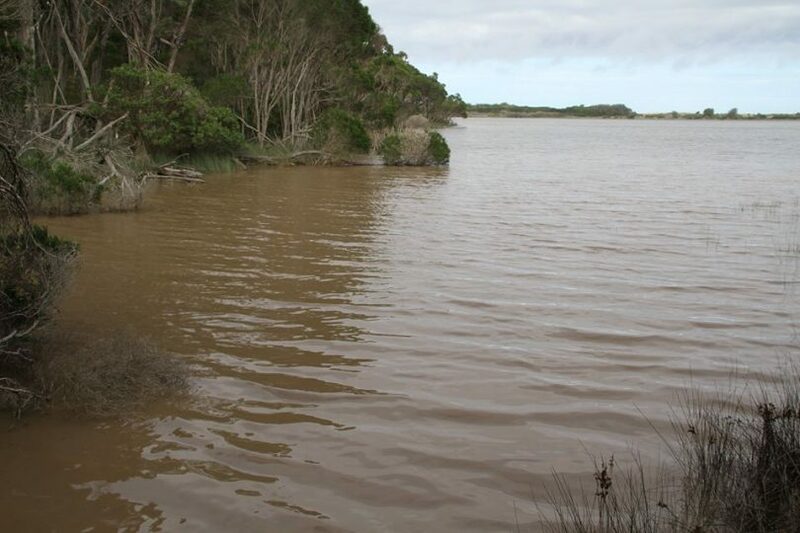 The waters of Back Lagoon at Short Point, Merimbula have turned a chocolate milk colour this week as sediment traps in a new housing estate failed to catch muddy runoff. 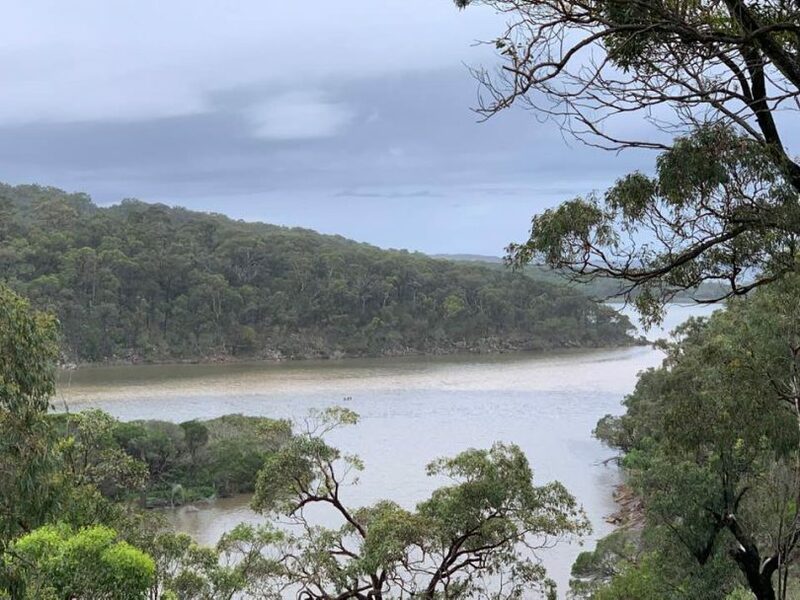 “It’s disappointing that it appeared to take complaints from members of the public to bring this issue to light, however, I’m very pleased with council staff’s swift response and the developer’s compliance,” says Bega Valley Deputy Mayor, Mitchell Nadin. Council’s Manager of Planning and Sustainability, Keith Tull says the primary source of the run-off is the Mirador area. “Council staff also undertook investigations further up the catchment and identified some possible further minor contributions,” he says. “Council has continued to work closely with the contractor carrying out the current subdivision works at Mirador in particular around soil and water management controls. Back Lagoon at Short Point, Merimbula. Photo: Google. Mr Tull explains that Council officers inspected the site before, during and after the rain event and that up until this event staff were of the opinion that the controls had been working effectively. “Additionally, it was established during a site inspection post the event that the construction infrastructure controls established by a previous developer had also been breached during the event,” he says. “The result is a short term reduction in water quality. 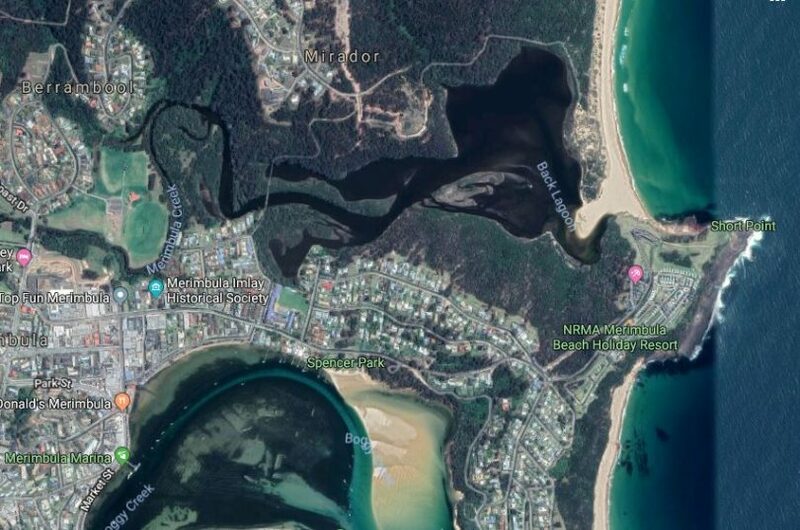 “Council staff have directed the contractor for the current subdivision works to repair the breaches in the sediment control works and also enhance the existing controls with additional works. Mr Tull says Council will also be pursuing the repair of the controls put in place for the previous infrastructure works. “Wow, look at all the muddy water from the Mirador excavation after last night’s rain. Poor Back Lake.” – Christine Kaine, Facebook. “This event highlights the importance of all developers establishing best practice sediment controls and undertaking routine maintenance. I hope the council does that Mitchell. We seem to have to wait until our waterways are subjected to sedimentation caused by poor development and lack of restrictions on clearing of land to bare earth before anything is done. Look back to damage caused by Lakewood and Mirador during the era of the period when BVSC was under the control of Administrator . When will we ever lean!!! !